Our full-grain woodland pig leather hides are of good quality, and has color variation and natural marks characteristic of distressed leather, treated to look aged or worn out without losing its overall integrity. It will darken with use and develop a rich patina over time. The thickness of the leather is approximately 2 to 4 oz (1/32" to 1/16"). One 16.5 sq. 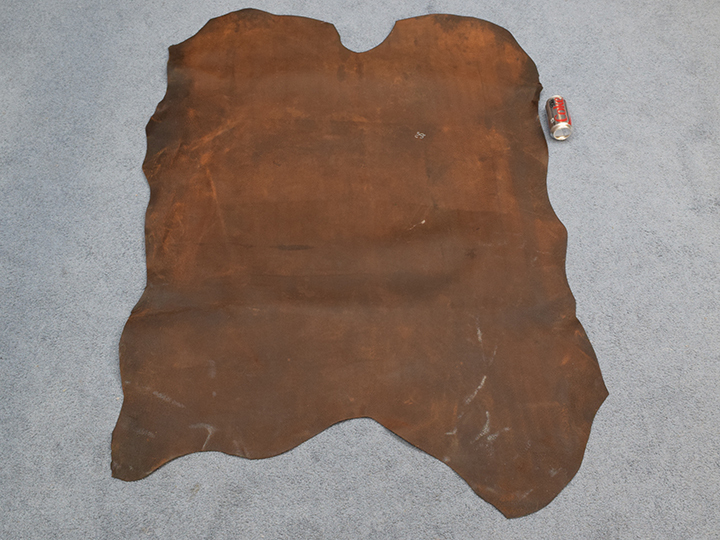 ft. leather hide is measured to be 45" long by 43" at its widest part. These are sold by the square feet. 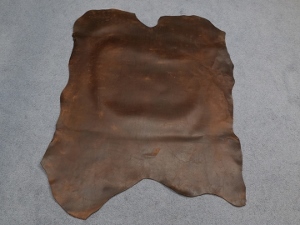 R-296-DW-NASQFT Woodland Distressed Pig Leather:Natural US$8.00 / sq. ft. US$7.00 / sq. ft.
Pigs are not an endangered species and are not subject to CITES controls. They are a by-product of the food industry.